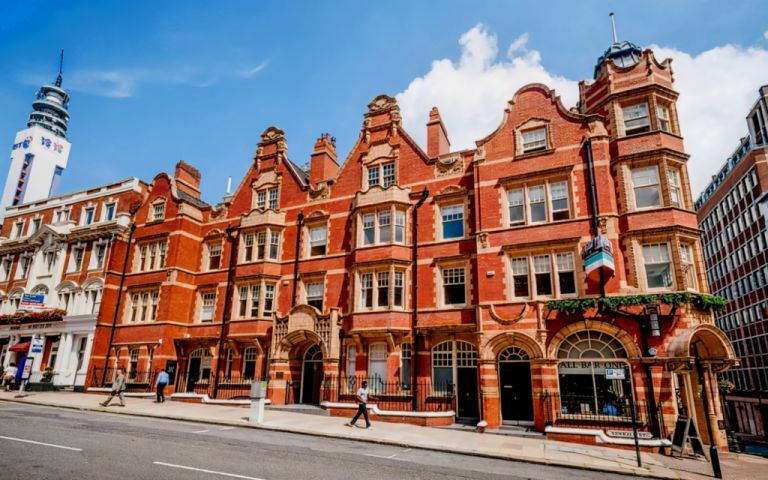 This Grade II-listed building is located in the centre of Birmingham’s business district a short stroll away from the retail heart of the city. Corporate neighbours include KPMG and Pricewaterhouse Coopers, and Birmingham New Street and Snow Hill stations are both within a 5-10 minute walk. The ground floor has undergone a transformative refurbishment to provide a stylish, light and modern reception and business lounge that has the feel of a boutique hotel. With carefully curated artwork that reflects the heritage of both the building and its setting, to tastefully chosen furniture for your guests, everything has been chosen to create a space you’ll want to work in. We know that your client’s first impressions matter, and just how important it is to arrive at work to a place that’s inspiring. But it’s much more than aesthetics – it’s about better, flexible and collaborative ways of working. There’s bright and airy coworking space to share ideas, work together or simply get away from your desk, or have an informal meeting or a quiet conversation over coffee in one of the the cosy breakout areas. You’ll get special discounted access to our on-site meeting rooms which are suitable for a private four-person discussion right up to a twenty-seat boardroom, furnished to the same high standard present throughout the lounge. Equipped with the latest presentation technology, including video conferencing, they are an ideal way of creating the right impression for your clients and visitors, letting you focus on the job at hand. There are shower, bike, and car parking opportunities to support you getting to work, and an on-site customer service team for any and all queries. Other facilities available from your on-site customer service team include administration support, printing, photocopying and postal services. It’s an ideally flexible, low-cost option - our serviced offices are available to rent from one month upwards and come with fixed, transparent costs so that you know that the price we quote you is the price you pay. Should you want to expand at a later date, we offer you complete flexibility to move within any of our buildings, including to our other 3 landmark offices in Birmingham – whatever your requirements we’re here to give you a helping hand on the ladder to success. From the serviced office access to Birmingham's public transport infrastructure and motorway network is simple. All transport links are within walking distance excluding the Airport.